This unique and long-awaited handbook on this important topic in the hot field of stereoselective organic synthesis covers several types of nucleophiles. 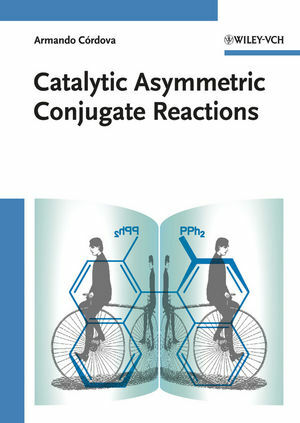 Top international authors deal with modern forms of achieving stereoselective conjugate additions based on the use of chiral auxiliaries or asymmetric catalysis, such as P-N ligands, organocatalysis, domino reactions, Lewis acid and base catalysis. There is also a discussion of the employment of enantioselective conjugate addition transformations in total synthesis of important molecules. With its reliable and previously unpublished experimental procedures, this is a true source of high quality information. Professor Armando Córdova is a researcher at the Arrhenius Laboratory at Stockholm University and Mid Sweden University. He obtained his M.Sc. in Chemical Engineering 1995 and Ph.D. 1998 at the Royal Institute of Technology (KTH) in Stockholm. In 1998, he took an appointment at the Swedish Pulp and Paper Research Institute (STFI). After a two-year leave for postdoctoral research at the Scripps Research Institute (TSRI) in La Jolla, U.S.A., he continued research at TSRI for two more years and in 2003 returned to Sweden and Stockholm University. In 2004, he became associate Professor and in 2009 he was selected for a Professor chair in Organic Chemistry. He has also received several awards for his research including the Tage Erlander Prize given by the Swedish Royal Academy of Sciences (2006), the King Carl XVI Gustaf's 50-year foundation award (2007), the City of Stockholm´s inventor award (2007 and 2009). Prof. Córdova is also founder of the chemical company OrganoClick AB.